A winter wonderland awaits you when you join our singles group in Prague, Czech Republic this December. Soak up the holiday atmosphere, browse the stalls and enjoy festive music, hearty food and amazing fireworks. Don't miss this opportunity to visit a major historic Eastern European Capital and it's surronding villages on this spectular singles vacation. Prague is one the hottest New Years travel destinations, so make your plans early. 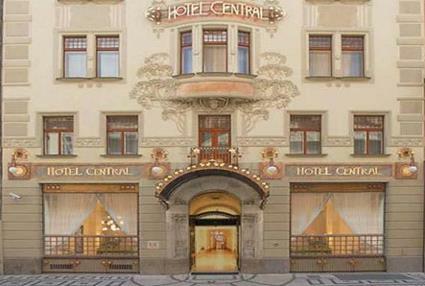 Upon arrival at the Prague Airport (airport code PRG) you will board your shuttle and be transferred to the group's boutique hotel, K + K Hotel Central Prague, conveniently located in the heart of Prague, only steps away from the Powder Tower and 2,300 feet from Old Town Square. You can stretch your muscles in a fitness center, relax in the sauna before meeting your tour leader and group for an optional dinner. Our morning will begin with a bus ride up to Prague Castle, the largest medieval castle in Europe and the official office of the President of the Czech Republic. The castle is almost 18 acres and contains numerous palaces, ancient churches, squares and viewing towers. Walk through historical buildings – Old Royal Palace, St. George's Basilica, Golden Lane with Daliborka Tower. Visit the most recognizable landmark, St Vitus Cathedral, the largest and the most important temple in Prague. 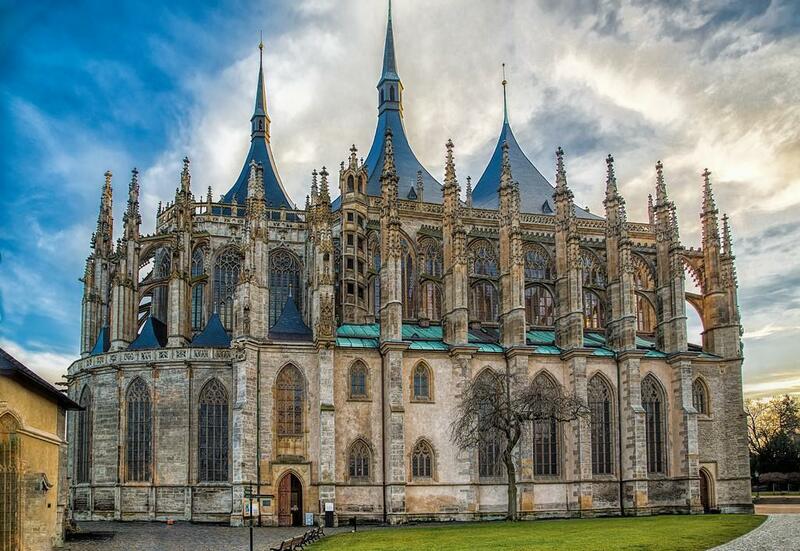 Religious services, coronations of Czech kings and queens took place here and it is also the burial place of several patron saints, sovereigns, noblemen and archbishops. Then walk down hill through the picturesque Lesser Town, with its ancient burgher houses, quaint side streets and St. Nicholas Church. 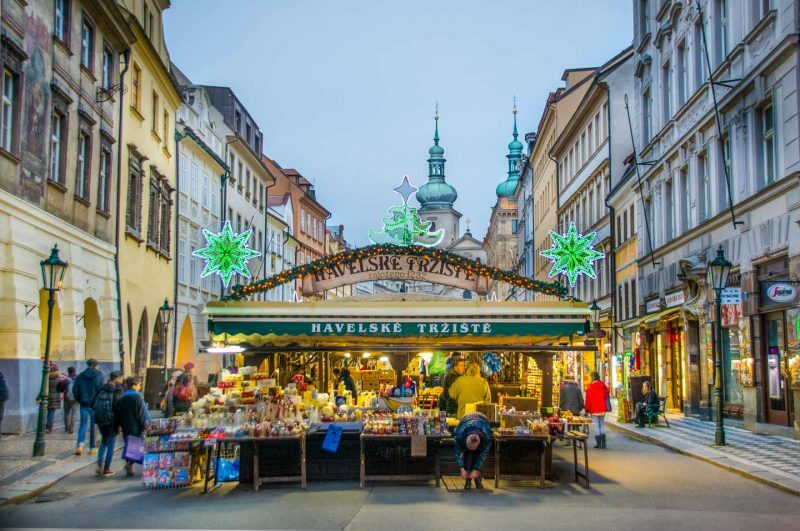 We pass by cobbled side streets filled with small shops and churches on our way to the famous astronomical clock and the Old Town Square Christmas market. A large Christmas tree and shopping stalls are surrounded by centuries old Gothic, Renaissance and Baroque buildings. The tree is adorned with hundreds of lights and is lit every evening at dusk. 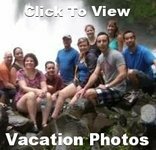 Enjoy your Welcome dinner at a local restaurant with all your new friends and tour leader. After breakfast, our Prague tour continues in the old town and the Jewish Quarter. Josefov, the former Jewish ghetto, is dotted with reminders of its past. These include the weathered tombstones of the Old Jewish Cemetery, and the Pinkas Synagogue, now a Holocaust memorial with exhibits focusing on Jewish children. Visit the Jewish museum, founded in 1906, it is one of the oldest and continuously existing Jewish museums in the world. Also visit synagogues and the Jewish Cemetery. Learn about the traditions, customs and legends of the Jewish people from their early settlements in the 10th century through their enforced isolation during World War II. 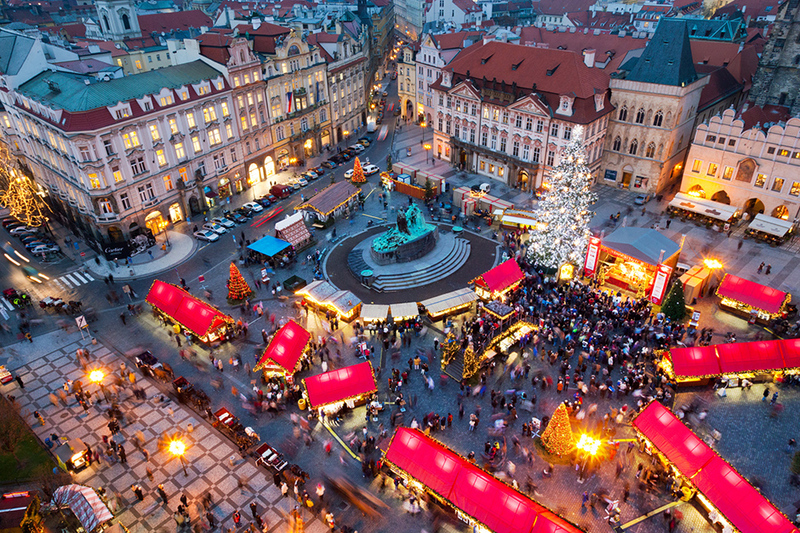 After time for lunch, visit the second largest Christmas market in the city center, Wenceslas Square. 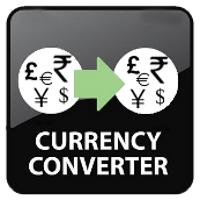 Located in New Town. the square has historic buildings around which much of the modern development of the city has taken shape. Warm up with a glass of mulled wine (svařák in Czech), and taste Christmas specialities such as braided cake (vánočka). Most of the goods in this market are handmade so check out the wooden toys, gifts made of glass, iron and steel. Travel on an educational and historical trip to Terezin Concentration Camp this morning. Originally a military fortress built in the 18th century then it was turned into a Jewish ghetto during World War II where thousands of Jewish people and other prisoners died. Tour around the entire complex of the former concentration camp, and visit the Terezín Monument dedicated to the victims of the holocaust. Time to Party - it is New Years Eve and We are in Prague!! Dinner - Atmosphere - Fireworks - Czechs LOVE setting off fireworks and as midnight approaches revellers gather by the river, the Old Town Square and Wenceslas Square to watch the fireworks. As it gets closer to midnight the atmosphere builds and the crowds get larger. Then, at the stroke of midnight it gets pretty hair-raising, the skys alight with both professional and amateur fireworks that create a spectacular and unforgettable memory. After partying all night, today is free day to sleep late, relax or shop the Christmas Markets. Yes, the stalls are open today. Today we travel outside of Prague to the Medieval town of Kunta Hora, the silver mining capital of the Kingdom of Bohemia. It takes a little over an hour to get there, has a population of about 21,000, and has an interesting history and a variety of sights. Fires have damaged or destroyed many of Kutna Hora's buildings in the 15th century but the town quickly rebuilt thanks to its continuing income from silver mining. In the 16th century, the silver mines were depleted and Kutna Hora's stopped growing. 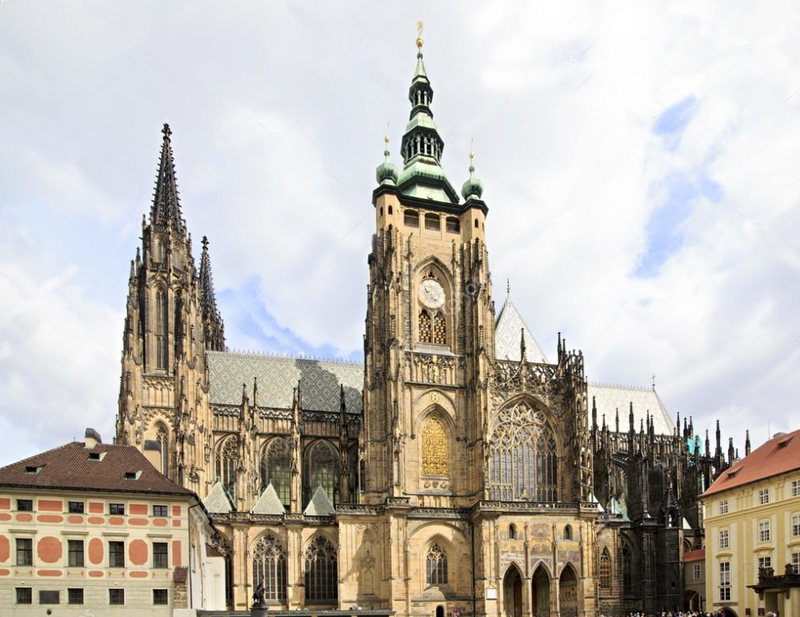 Many of the other original buildings still stand with the crowning glory being the Cathedral of St Barbara, the most spectacular gothic cathedral in the Czech Republic. The town is most famous for its ‘bone church’, a chapel decorated with the bones of up to 40,000 people. So many people wanted to be buried in the holy ground that a local carver was commissioned. 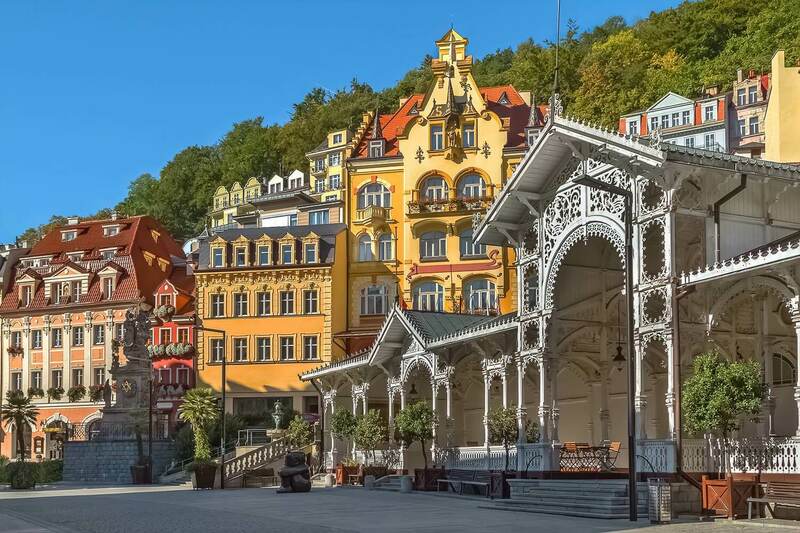 Today we drive through the Western Bohemia countryside to Karlovy Vary, the largest spa town in Czech Republic and famous for its hot mineral water springs recuperative powers. Taste the hot springs water as we stroll the same streets as Casanova, Beethoven and Mozart to admire the Baroque and Art Nouveau buildings. See Vřídlo hot spring, the only source of thermal water used for the local spa baths and shoots 161 °F mineral water up to 39 feet in the air, at an average rate of 2,000 litres per minute. Tour Mosner Glassworks and see the master glassmakers transform molten lumps of glass into unique glass products. The world-renowned Moser glass, named for its founder Ludwig Moser, is a shining example of the Bohemia crystal the region is known for. On our tour through the museum learn about the 150 year history of Moser glass and got a first hand look at the companies delicate wares on display. We will be guided through the Moser factory for a fascinating glimpse into how the glass is blown, shaped, cooled, and cut. Today we taste Pilsner Urquell or Gambrinus beer directly at source, inside the brewery. 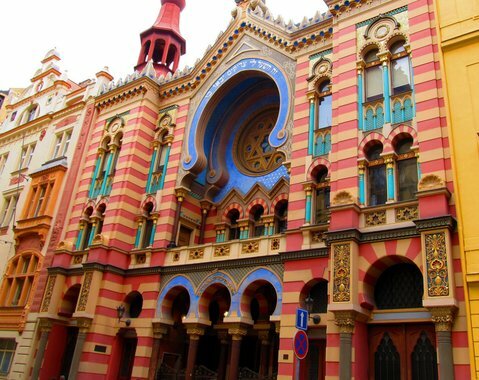 We travel to the town where pale lagers were created, Pilsen. Learn about the history and secrets behind making the legendary lager and visit the actual spot in the brewery where Pilsner Urquell beer has been brewed since 1842. Our tour would not be complete without a visit to the historic brewery cellars, where we can taste unfiltered and unpasteurized Pilsner Urquell on tap straight from oak lager barrels. Watch the banks of the Vltava River light up at night sightseeing and Farewell Dinner cruise through the heart of Prague’s Old Town and Lesser Town. Capture unforgettable images of Prague Castle’s illuminated walls and slip beneath the iconic Charles Bridge. 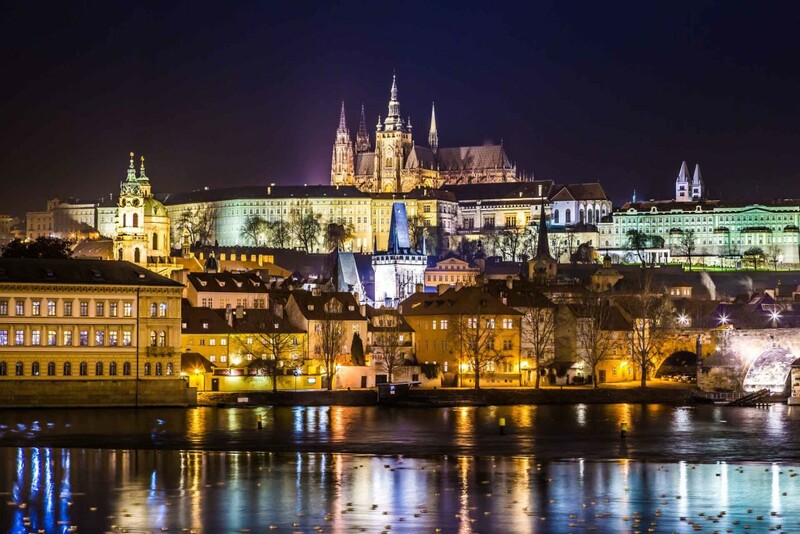 Admire the floodlit sights and bridges from the water as we enjoy the delicacies of Czech and international cuisine. Sad to say but our Prague Winter Delight singles vacation has come to an end. After breakfast it is time to say goodbye to all your new singles travel friends as we make our way to the airport and our flights home.